Takeaway: A healthy lifestyle of proper nutrition and personal fitness can lead to a stronger and more developed body, healthier joints, lower blood pressure, and a lower risk of health problems, such as diabetes and heart disease. Setting S.M.A.R.T. goals for yourself is one of the most effective ways to achieve long-term weight loss. These goals help you understand that fitness is not one big attainable goals, but rather many small short-term goals that lead to long-term weight loss and improvements in your personal fitness and health levels. When it comes to fitness, most people will tell you that it’s easier said than done. That’s because it is easier said than done, but that doesn’t mean it can’t be done. You can improve your health and personal fitness at any stage in life. The best part? There is no need to make drastic changes that leave you feeling deprived and unmotivated. Personal fitness is all about the small, everyday changes you make to achieve optimal, long-term health. Why Does Personal Fitness Matter? Fitness is about more than just feeling good after one workout routine. It’s a lifestyle choice that improves both your physical and mental well-being. Research shows that regular physical activity improves personal fitness by reducing and preventing the risk of a number of chronic diseases. The risk of chronic disease starts in childhood and increases with age, so prioritizing your personal fitness from an early age is essential to a healthy life. 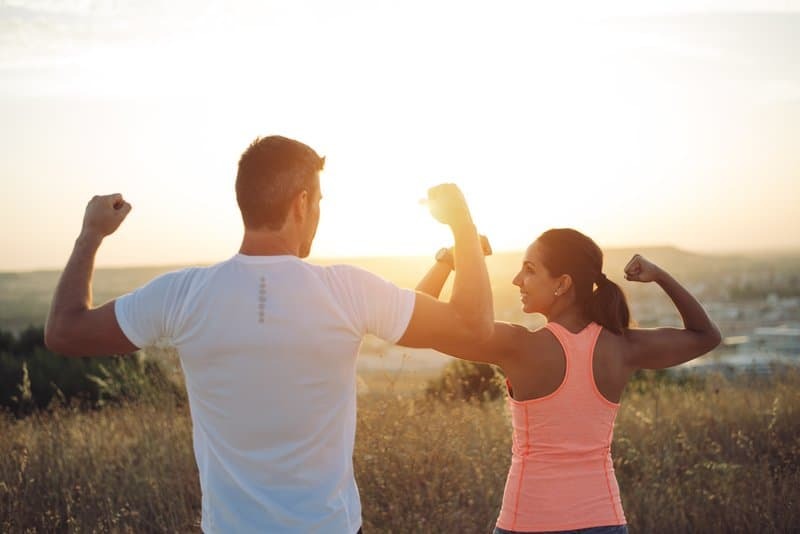 It’s no secret that fit individuals have an easier time maintaining their optimum weight, have more endurance and stamina during exercise, and maintain more energy throughout the day. However,evidence suggests that the greatest improvements in health status are seen when people who aren’t very fit become physically active. Within days of prioritizing your personal fitness, you’ll begin to feel your body change and your health improve (both mentally and physically). A healthy lifestyle of proper nutrition and personal fitness can lead to a stronger and more developed body, healthier joints, lower blood pressure, and a lower risk of health problems, such as diabetes and heart disease. Everyone’s fitness journey is different and your goal should not be to seek perfection, but rather progress in your personal fitness journey. Fitness is not a math problem with one correct solution; results vary from person to person. For some, getting fit can be an easy task. For others, it can be very difficult. Your age, gender, genetics, and environment are all variables that play a role in determining the rate at which you lose weight, gain muscle, build strength, and reach your fitness goals. You need to set a time frame that meets your specific fitness goals, whether they involve losing weight, building muscle, or both. Maybe your fitness goal has to do more with improving stamina and endurance and less with weight loss and muscle mass. 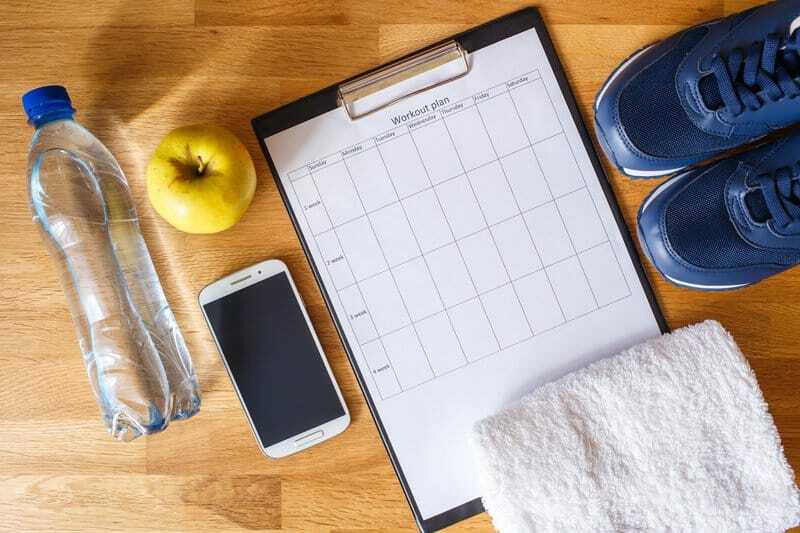 Regardless of your personal fitness goals, it is important to stay consistent and patient throughout the entire process in order to improve your health in the long-run. It’s the small changes that add up and ultimately make all the difference. Having S.M.A.R.T. fitness goals is an essential part of starting your fitness journey and improving your overall health. They allow detailed yet simple ways to track and measure your progress. They also enable you to stay engaged, motivated, and track your progress. Specific – Vague goals will not help you reach your personal fitness goals. You need to get as specific as possible. What is your fitness goal? Do you want to lose weight, gain muscle, build strength, improve endurance, run your first 5k? Decide. Write this goal down and place it next to your bathroom mirror as a daily reminder of why you started this journey to begin with. Measurable – This means to have a quantifiable goal. You need to have a way to track your progress. Will you track your progress by the number on the scale or by taking weekly progress pictures? If your goal is to run a mile in under nine minutes, then you need to measure your progress in real time. Attainable – Always keep your big picture fitness goal in mind, but break these goals down to make them more realistic and attainable. To run your first 5k, you will need to give yourself time to reach a good running pace. It is not realistic to go from barely running one mile a day to have enough endurance to complete a marathon in seven days time. Running a 5k marathon is an attainable goal, but you need to give yourself sufficient time to achieve it. Relevant – This part of the goal tends to be the most personal. People should have a personal reason why they’re working, even if that is just to get healthy. This goes back to your specific reason and your “why.” Constantly remind yourself with it is important and relevant to your life to keep making progress towards your personal fitness goals. Timely – Timing is key when exercising. When you have a concrete goal and proper motivation, all you need to do is pressure yourself enough to go for it. Having a clear timeline is a great way to stay on track, just make sure that the time frame you give yourself is reasonable and challenges you to improve. If you give yourself too much time to complete one small goal, you might end up getting too comfortable and stop making progress. Setting S.M.A.R.T. goals for yourself is one of the most effective ways to achieve long-term weight loss. These goals help you understand that fitness is not one big attainable goals, but rather many small short-term goals that lead to long-term weight loss and improvements in your personal fitness and health levels. Your long-term goal might be to lose 30 pounds, but your short-term goal should be to lose 1-1.5 pounds per week. Shift your focus from the end goal (30 lbs) to the 1-1.5 pounds you should be losing each week. Ensure you do everything in your power to stay on track; drink water, eat nutrient-dense food, stay active, etc. After several weeks of solely focusing on the present, you’ll realize that in the long run, you’ve made a great strive towards your overall weight loss goal. 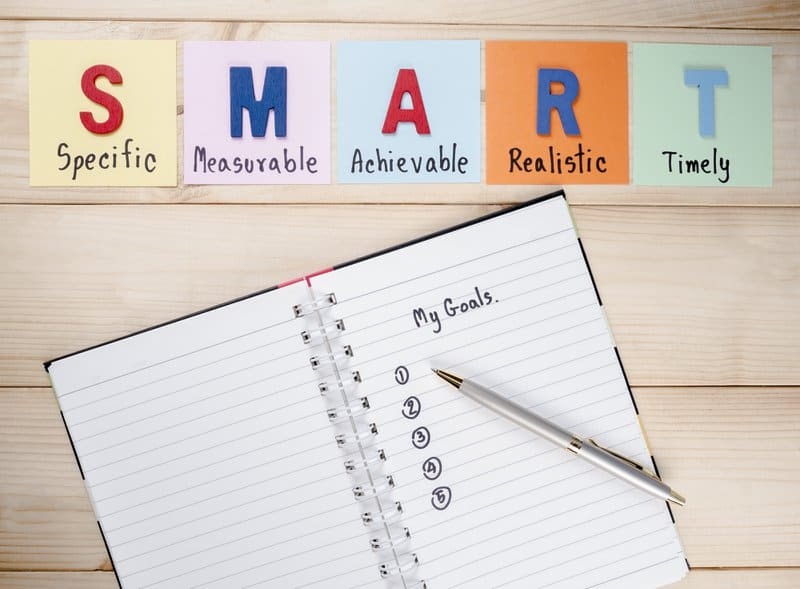 Another great way to ensure your goals are following a S.M.A.R.T. framework is to align them with an upcoming event you may have! It is always high motivating to know that your hard work is a leading up to a big day, like a wedding, birthday, or vacation. Most importantly, you shouldn’t allow yourself to become stagnant and lazy. 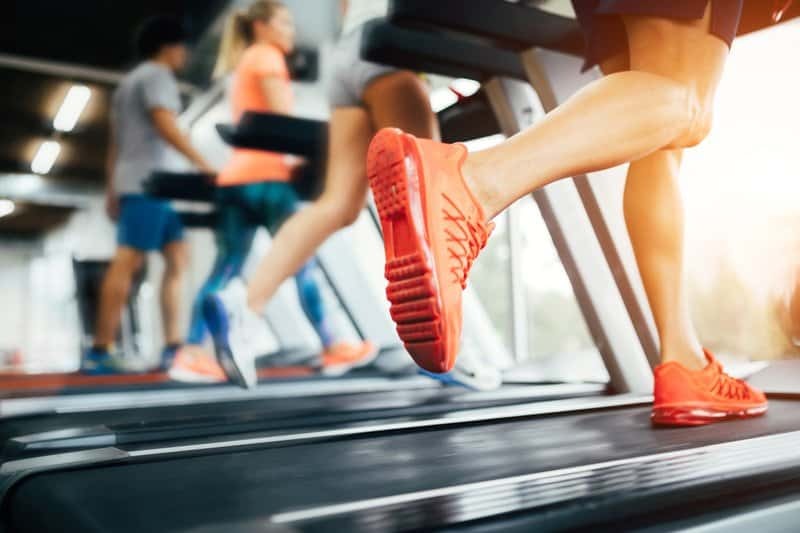 If you create a timeline, you should stick to it no matter what because in the end, the only one that truly benefits from your personal fitness goals is you. Don’t give yourself too much leeway to accomplish this if you know that after a while you will forget about it or move on to something else. Staying fit means constantly putting forth effort and setting new goals. Every stage in life requires you to do something different in order to maintain your physique. As you get older, you are required to be more cautious with the exercises you choose to perform and the eating habits you abide by. Not everyone needs to go to the gym in order to work out. In fact, working out from home is often a very straightforward and efficient way of getting improving your personal fitness. There are a wide variety of exercises you can do from the comfort of your own home to start improving your fitness level and overall health. Yoga is often one of the best ways to start improving your fitness from home. Besides a yoga mat, you don’t need any equipment to start doing yoga. The purpose of yoga is to build strength, awareness, and harmony in both the mind and body. Yoga can help improve your flexibility and overall fitness level. The great thing about yoga is that anyone can do it—yes, beginners and advanced yogis are all welcomed! Read our article on the perfect morning yoga routines for any lifestyle. Cardiovascular exercises, or cardio for short, will also help you improve your personal fitness level. Even something as simple as a jump rope has a tremendous influence on your endurance and stamina. Make sure to invest in a good rope; try the Limm All Purpose Jump Rope. Strength training is arguably the most important part of any personal fitness regime, as this is what enables you to grow your muscles and build strength. Pushups, sit-ups, squats, and lunges are essential bodyweight exercises to incorporate into your workout routine. Invest in a pair of dumbbells to add some intensity to your strength training sessions. You should start with a small weight and grow incrementally when you feel like you’re ready to take on more weight. Don’t forget to warm up before every single session. This can include a walk to the park, a light jog on the treadmill, or even a ride on the stationary bike. Cooling down between sets is also always highly recommended. Staying fit during pregnancy is not an easy task. It requires careful coordination and willpower when your body has a different idea on how to function. However, it’s far from an unsolvable situation. During pregnancy, it is completely normal to experience inexplicable cravings. You might even find yourself craving foods you never even had an interest in prior to pregnancy. Although cravings are perfectly normal—and sometimes encouraged—while you’re pregnant, it is important to get to know your pregnant body and analyze when you’re bored and fatigued and when you are actually hungry. In some cases, you might be low on protein, fat, or iron. That’s why you need to prepare different meals for yourself, which will, in turn, minimize the cravings as much as possible. They’ll still be present, but you’ll have a better idea of which nutrients you are lacking. It is also essential to be on the move as much as possible. While many regular exercises are out of the question, there are specific stretches and exercises that should be practiced during pregnancy. Weights, however, are almost entirely out of the question. Some great exercises during pregnancy are walking, stretching (when possible), and meditation for relaxation. The first thing you should know about staying fit in college is that it’s entirely doable. It is common for students to be pressured to party more than they should, but with a little moderation and planning, staying fit is something that can be achieved. Students lead a life of strict schedules, and sometimes that means a lot of sleepless nights. That should be the exception and not the rule, so try to avoid depriving yourself of sleep as much as possible. Getting a decent night’s sleep is an essential part of staying fit and healthy, and if you have issues when it comes to waking up in the morning, consider using an alarm clock (not on your smartphone) like the Sonic Alert. Remember to eat as healthy as possible and avoid late night snacking as much as you can. Salads are arguably the most important part of any meal, and you should never avoid them. However, do avoid calories in liquid form, so try to keep the alcohol and soda to a minimum. Another helpful tip is that when drinking beer you should always aim for bottled beer instead of tap beer. Not because of the taste or quality, but rather because of its specific quantity that allows you to control how much you consume. Finally, make sure to keep track of how well you perform physically. A fitness tracker like the LETSCOM can do wonders in keeping you as informed as possible. That way, you’ll have specific statistics on your fitness level you can keep track of—plus, it’ll look really stylish on your wrist. When you’re traveling, you don’t always have enough time or room to exercise. However, that doesn’t mean that it’s impossible to stay fit when you’re on the road. In any case, you should try to make some time in order to exercise. The first thing you should consider is walking almost everywhere. 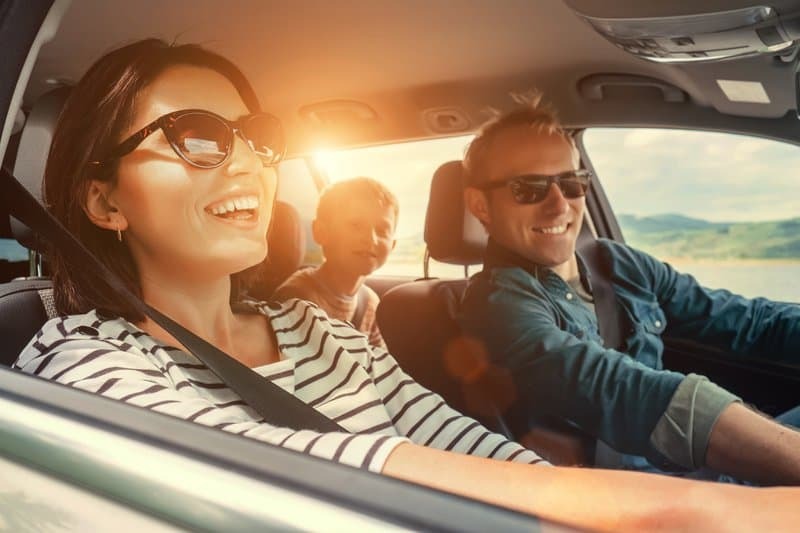 Riding in a vehicle can save you time, but it can also do you a disservice if you want to stay fit. A nice pair of walking shoes can do wonders, like QUANSI Sneakers for men, or TIOSEBON Shoes for women. Staying hydrated is something that’s extremely important, especially when traveling. You should always have water with you when traveling to avoid dehydration. Having water with you at all times can also stop you from making a pitstop at the gas station for a sugar fountain drink. Aim to buy food from groceries instead of always eating out. Local delicacies might be irresistible but try to cut down on large portions of local foods. 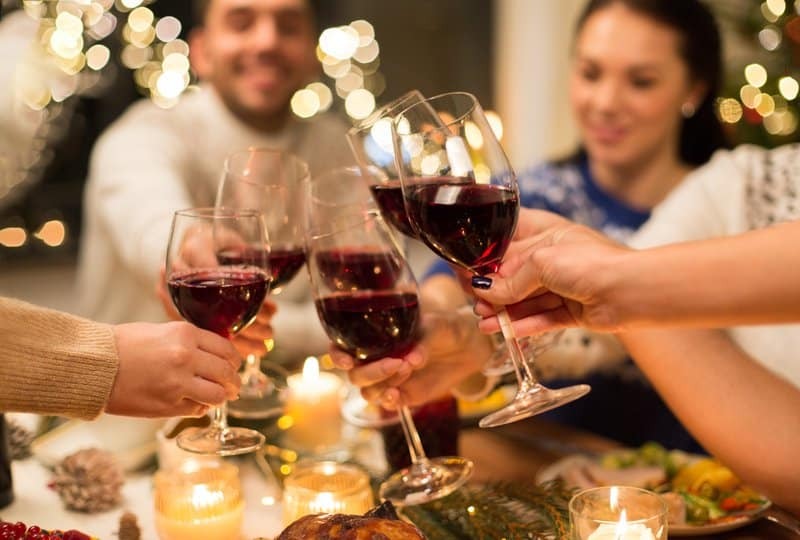 If you’re traveling with your entire family, you might want to pitch the idea of having a nice homemade meal with everyone from the grocery store instead of eating out for the fourth time in a row. People have a tendency to go all-out during the holidays. There’s a certain all-or-nothing mentality that takes control of our mind during the holiday season and makes us forget about our personal fitness goals. However, with a bit of dedication and preparation, you can better prepare for the holidays to ensure you don’t completely detour from your fitness goals. The first thing you should do is remember the initial plan. Staying healthy and fit is the primary goal, so exercising regularly is vital. The holidays are a time of practically unlimited treats and relatively unhealthy food, so always think ahead. Don’t show up to your family party with an empty stomach. If you know you are going somewhere with plenty of food and temptation, have a light snack and a glass of water before you leave the house. This can hold you over till the real food is served at the party and stop you from nitpicking at all the unhealthy snacks on the table. Keep in mind that there are plenty of meals you can have during the holidays that can still be part of the festive spirit. Something that is low in sugar can help you stay on track, even if you let yourself indulge more than you normally would. However, if you can’t manage to avoid unhealthy food, you should still remember to get back on track the next day because one slip up doesn’t mean you need to give up on your personal fitness and health goals. Staying fit requires time and dedication, and often sacrifice. However, staying to the fitness goals to set for yourself will improve your overall quality of life in the long run. It might appear hard at first, but you’ll be surprised at how strong and will-powered you can truly be. Make a plan, stick to it, and reach your personal fitness goals one step at a time! It’s actually a cool and helpful piece of info. I am glad that you simply shared this useful information with us.